Special offer! April and May rent-free! Our Business Center is centrally located in the magnificent Fanto Palace, it has a generous entrance area and is laid out on two levels. 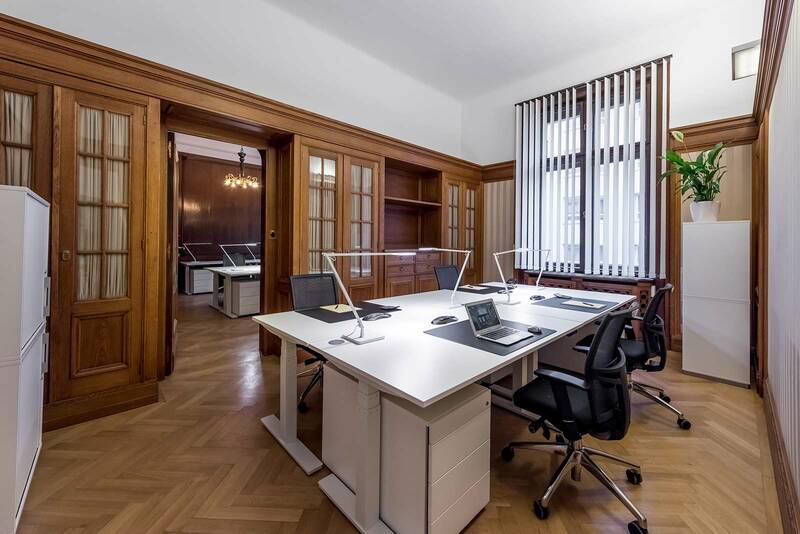 We offer a unique combination of the charm of the Danube Monarchy and a modern and contemporary office equipment. 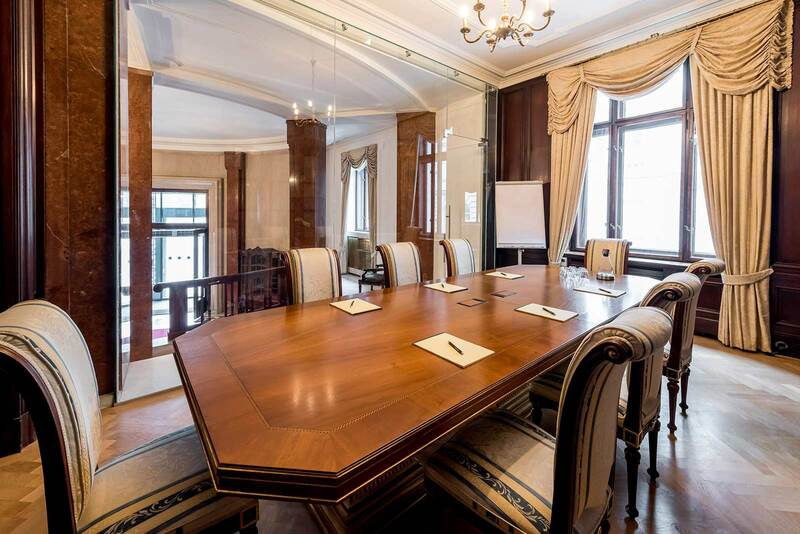 Here you can expect representative and immediately available office spaces as well as common areas in an impressive, neoclassical old building. You will not miss out on anything in your new office – high-speed Internet, 24/7 access, free drinks (including coffee, bottled water and beer), electrically height-adjustable tables, daily cleaning service and our Community Manager are instantly and at no hidden cost there for you. Other options such as your company logo on the facade can be booked at any time. We are as flexible as you are and offer you monthly contracts for every product. If you not only want to rent an office, but also simplify your day-to-day work and acquire one of the most prestigious business addresses, you’ve made the right choice. 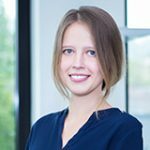 The spring has started and it’s time for your new office at WorkRepublic! * The offer is valid only for new clients, when signing a contract for one or more private offices with a duration of at least 4 months. Solely the security deposit and the monthly rent for June are due for payment upon conclusion of a contract and prior to moving in. This offer is limited and subject to availability. ** Example calculation based on an office for 14 people. 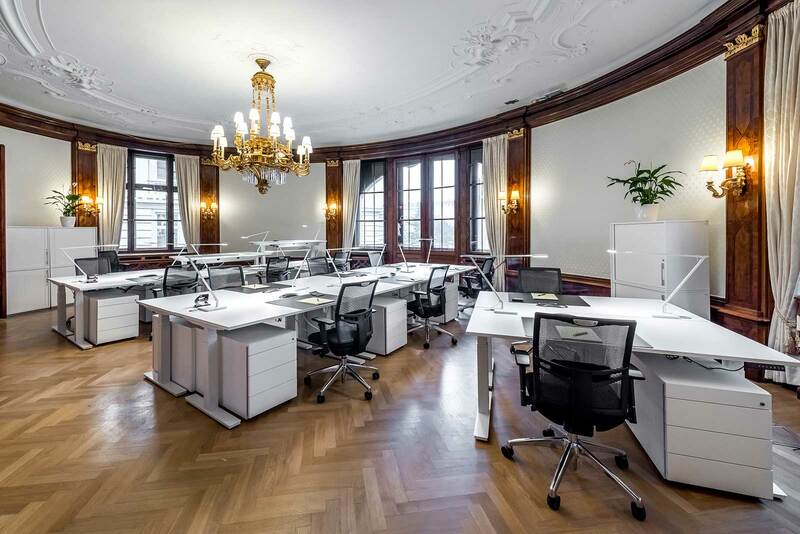 Your future office in the best downtown location – right on the Kurfürstendamm! Our representative address will be your own business address with immediate effect. Secure internet connection via WLAN or cable, up to 150 Mbit /s! For you and for your guests. Atmospheric furniture and modern technology equipment. Ideal for occasions of every kind! 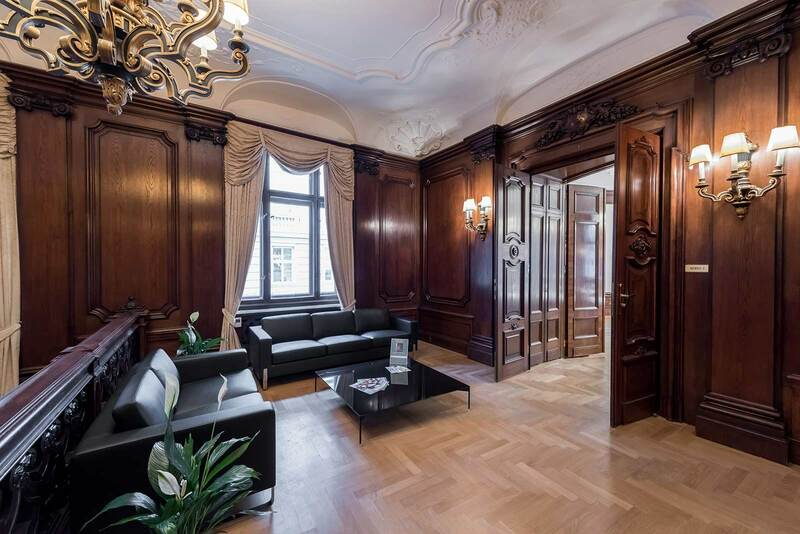 Let yourself and your guests be elated by your new real Viennese office. High ceilings, chandeliers, fireplaces and stuccoed ceilings create an atmospheric working atmosphere. Cozy lounge and functional kitchenette. Perfect space for the exchange of fresh ideas. During the entire working week your workplace will be professionally cleaned daily. 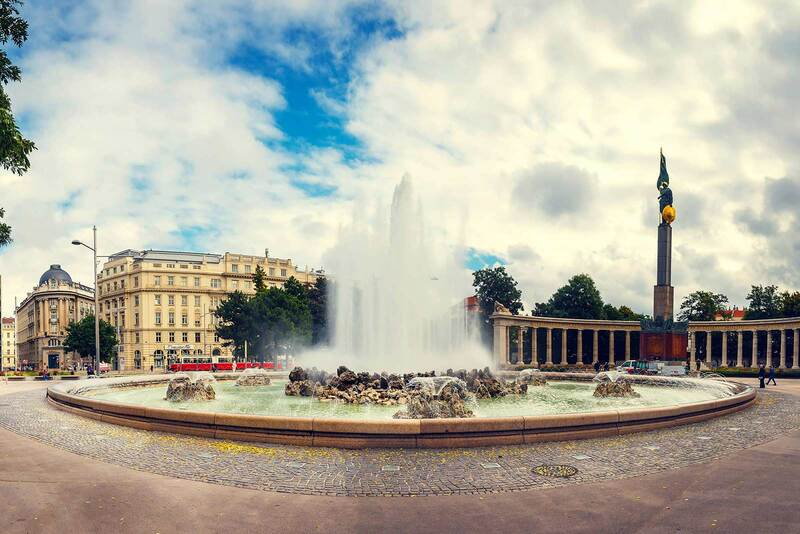 Schwarzenbergplatz is one of the most famous squares in Vienna’s city center. Thanks to the numerous embassies, business organizations and prominent companies, the location is regarded as one of Vienna’s most prestigious and elitist addresses. The extremely prestigious location boasts architecturally impressive city palaces, including the magnificent Fanto Palace, where WorkRepublic is located. 100 years ago, the Palais was built for an oil millionaire, nowadays it houses a variety of well-known corporations. WorkRepublic has its own entrance, which can be seen directly from the famous high beam fountain and was originally the main entrance to the palace. The unique offices are designed on 600sqm and represent a successful combination of neoclassical old building charm and modern office concept. This is how WorkRepublic offers both a contemporary interior design as well as exceptional highlights such as chandeliers, fireplaces and stuccoed walls. 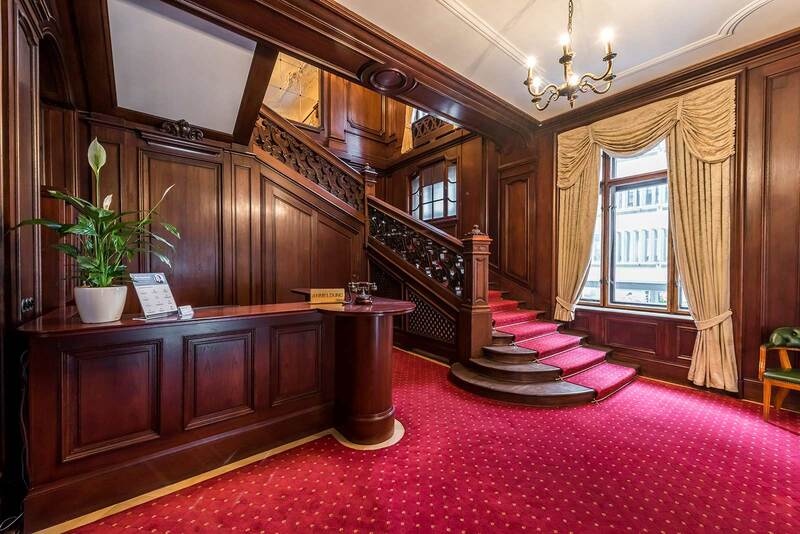 Get a first impression of our Business Center on the Kurfürstendamm with our 360 ° Tour. Switch the perspective by clicking and moving the mouse. To book a real tour with our Community Manager, drop us an email or call us.